Would you like to drive a F1 car on the most famous track in the world? Now you can! 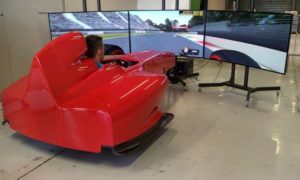 With the bright red driving simulator you will feel the thrill of a virtual lap at 300 km per hour. At Infopoint you can experience testing your driving skills and setting your own record.